this month I made sure I found time to create a LO for KIU .. I just adored these colours and had such fun with this page ..
pop over to KIU and see details and all the amazing inspiring art.. click HERE to see more. white frame, alphas and small key are from Imaginarium designs..
click HERE to see more yummies. above is our inspiration photo .. don't ya just love the soft colours ??? thanks for dropping by my blog where I share my creations with you .. I love reading all your wonderful comments .. thank you so much . with lots of hugz, love and laughter . hi.. this is so gorgeous!! love the softness and it is oh so pretty!! WOW Heather, What a great page once again. Gee what a cute photo!!!! i love how you worked with those colours!!!! just Stunning!!!! i just posted this challenge today also and yep i had fun with it too!!!! that is definitely gorgeous! just beautiful!!! This is just gorgeous. Don't you just love those colors? Your stamping looks great and I just love those embellies along the bottom of that gorgeous photo. Wow! This is awesome Heather! Your take on this challenge is PERFECT! Love everything about this! So gorgeous! I love your white flowers on the Kraft! Indeed the colours are very soft. This is gorgeous, even if I prefer when you work in a "rougher" style ! I love the colors of this sweet page ...cool work Heather. Ohhhh! this is precious.....stunning work,Heather. Oh my, look at those cheeks!!! Beautiful layout! Gorgeous embellies and I love what you did around the edged of the base!!! Oh Heather, that is the MOST heavenly beautiful page...gasp!!! My fave bit is the painted / stamped white flowers. They are seriously beautiful. I see you're teaching at SS this Sat - my local scrap shop!!! ohhh, this is tooo cuuute, heather!! love the soft colors and your outstanding design. This is divine Heather! Soft, pretty and really beautiful details...love your altered layered chipboard, the layering behind the photo and those beautiful white flowers on the background...totally gorgeous. Such a pretty layout. Love the white painted flowers! 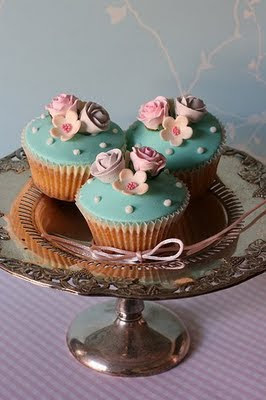 Beautiful soft colours.......It matches the cupcakes perfectly! Oh wow, how beautiful!! And I adore those cupcakes too!!! So happy to have you join in to artsee bloggers! Beautiful work! This is just adorable, great design and love the picture!